Vision Aid Overseas aims to transform access to quality eye care in developing countries. 670 million people worldwide are unnecessarily visually impaired because they do not have spectacles – this accounts for 10 per cent of the global population. This is mainly due to the significant lack of eye care services available in low and middle income countries. For people affected the consequences can be disadvantage and disability. Vision Aid Overseas’ vision is a world in which everyone has access to eye care and spectacles. Vision Aid Overseas’ work is focused on improving the lives of people who are marginalised by poor eyesight and motivated by our belief that good vision should be a right for all, not just those who can afford it. In 2004, ABDO adopted Vision Aid Overseas as its official charity of choice and committed to support their work in a number of ways. Every year, ABDO will assist two dispensing opticians with a donation towards their fundraising target (matched fundraising), to take part in an overseas assignment. This will be paid as a bursary to Vision Aid Overseas. If you are a dispensing optician who has been selected for a Vision Aid Overseas assignment and would like to apply for an ABDO bursary, please contact Sir Anthony Garrett at the Association of British Dispensing Opticians for more information. Your letter should contain a brief professional profile, information about the project and where you will be traveling to. Most importantly, please explain why you want to go. Applications will be assessed on a regular basis and you will be informed of a decision as soon as possible. For people in the developing world with bad eyesight it can be very difficult to access education and employment. Many find daily living difficult and dangerous. Vision Aid Overseas has a dramatic impact on people’s lives by giving them the opportunity to go to school, continue to work and live a life free from unnecessary disadvantage and disability. Vision Aid Overseas was founded 1985 by dispensing opticians and optometrists who cared passionately about helping people in the developing world who needed good vision to live an ordinary life. Since its foundation, Vision Aid Overseas has helped over a million people to see through the provision of eye care and spectacles. 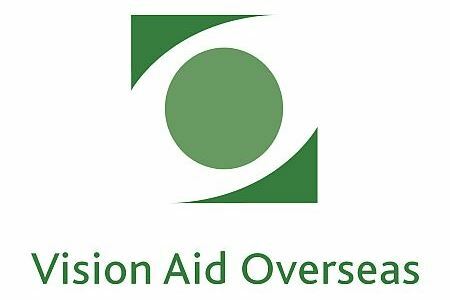 Vision Aid Overseas receives no government funding and is totally dependent on the support it receives from individuals and organizations in the UK. ABDO is proud to support Vision Aid Overseas in its work to transform access to eye care in the developing world. Vision Aid Overseas is sponsored by ABDO. In 2004 ABDO adopted Vision Aid Overseas as its official charity of choice. As part of this, ABDO will be sponsoring four people each year to take part in overseas projects. This bursary paid to VAO covers the cost of the volunteer donation to VAO plus some out of pocket expenses. All applicants must be a member of the ABDO and Vision Aid Overseas. Applicants must satisfy the requirements for and already have been selected for a VAO project. Sponsorship is allocated on a named basis for a specific trip. The selection committee must be notified in writing of any change in circumstances. The decision of the selection committee is final. No further correspondence will be entered into. A bursary will not be awarded to the same applicant for two consecutive years. Application must be in writing, before the project, by the project volunteer. ABDO requires that the successful applicant complete an article about their trip on their return, for publication in the Dispensing Optics journal. All monies awarded to the successful applicant are for payment to Vision Aid Overseas to cover the individual’s contribution. Failure to complete the project will result in the successful applicant refunding the sponsorship to ABDO.